The essential element of your Bay of Islands visit is the Waitangi Treaty Grounds, the Birthplace (Te Pitowhenua) of New Zealand. It was here on February 6th, 1840, that the Treaty of Waitangi, New Zealand’s founding document, was first signed between Maori and the British Crown. The previous day a draft of the Treaty in English and Māori was discussed before a gathering of about 500 Māori and 200 Pākehā. Many Māori were suspicious of what was intended, but after much debate around 40 chiefs signed the Treaty on February 6th. The Treaty was then taken on a journey around the country to visit the chieftains who had been unable to travel to Waitangi and by September 1840 another 500 chiefs around the country had signed. For individual guests or groups, there is a range of activities to enhance your visit to the Treaty Grounds. The enthusiastic, award-winning guides and events professionals will work to add value and impact to a memorable visit. The Treaty Grounds are open from 9am to 5pm daily from 19 April to 22 October (9am – 7pm in the summer season). You can enjoy the scenery and the indoor shows, crafts and Treaty House Museum, whatever the weather. Daily guided tours and Maori cultural performances are available, and inbetween you can relax and refresh yourself at either of the two cafés. 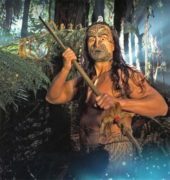 Be entertained and informed with a Maori cultural performance of traditional and contemporary song.